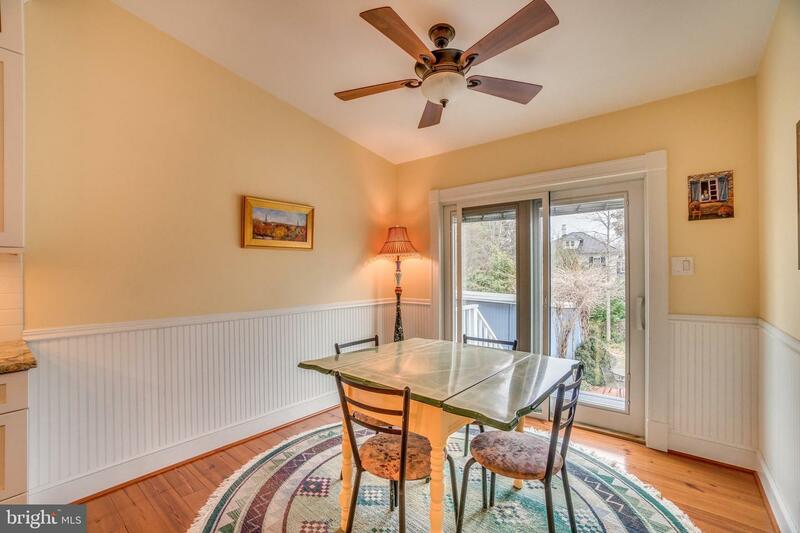 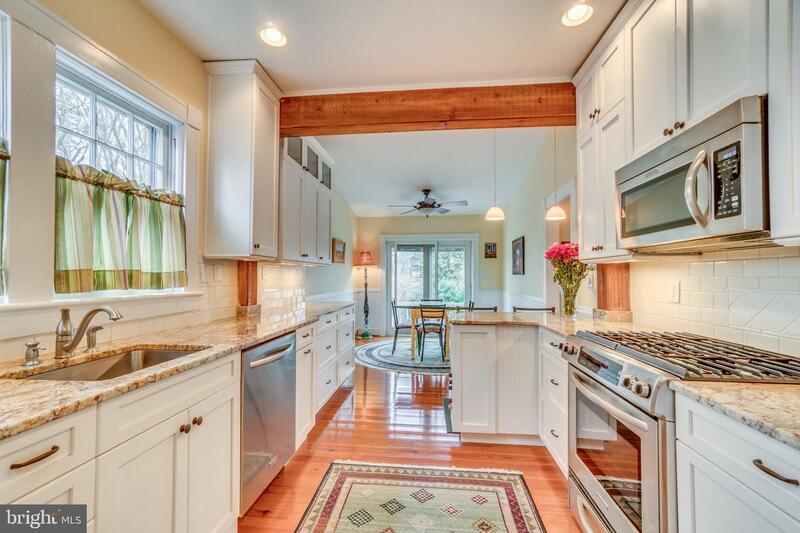 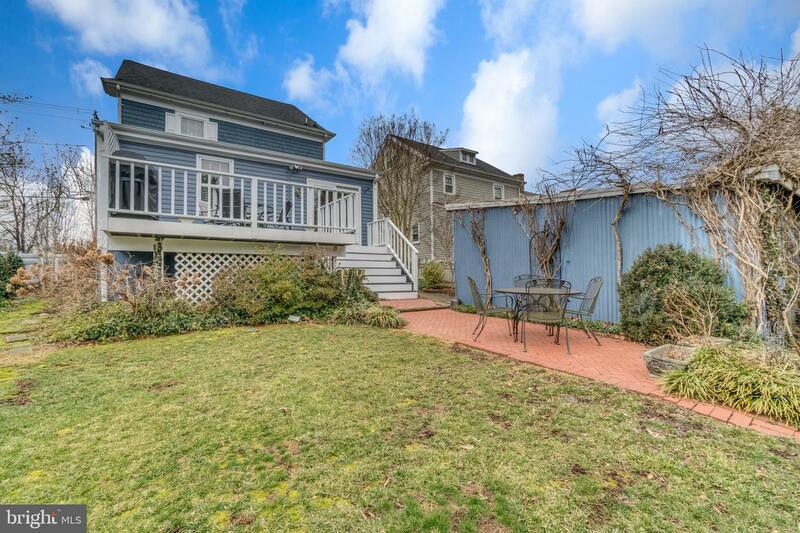 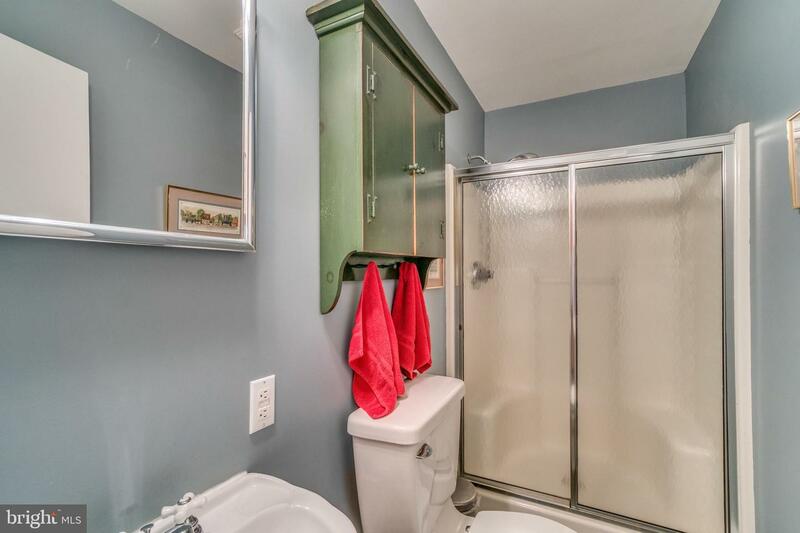 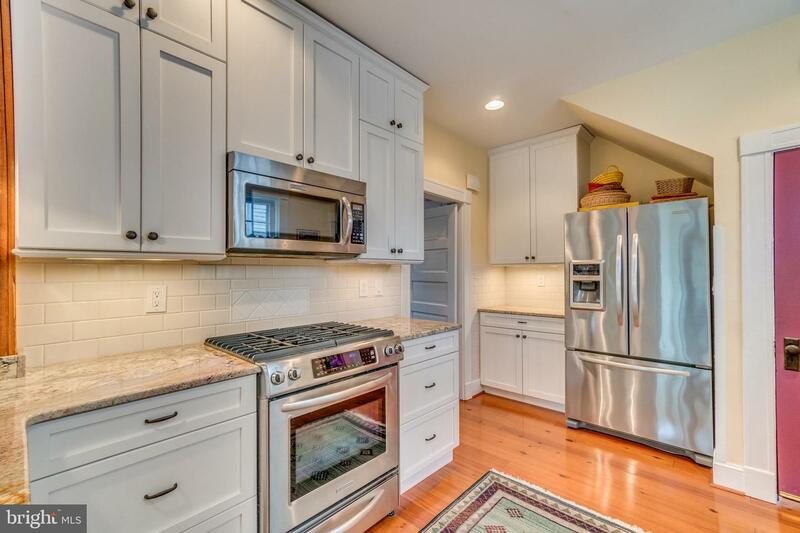 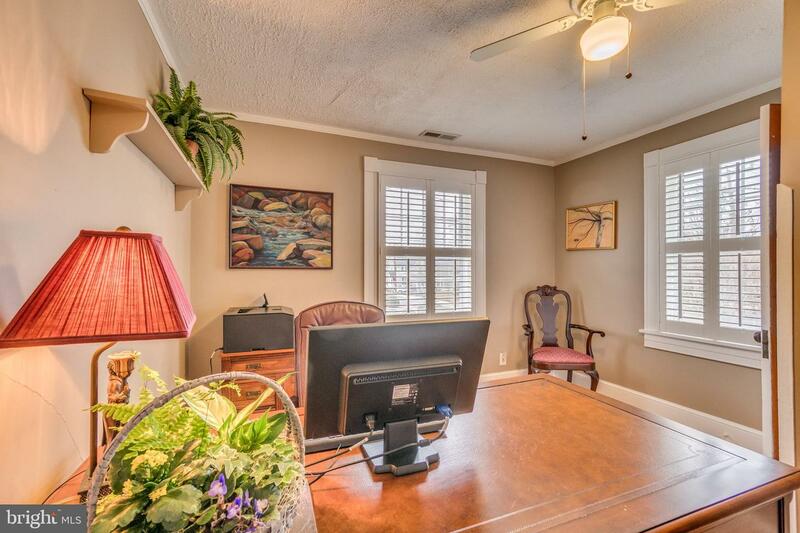 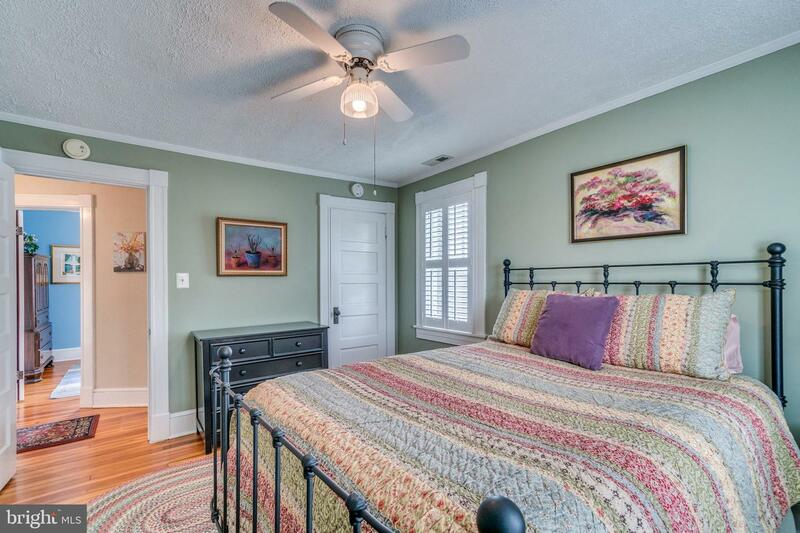 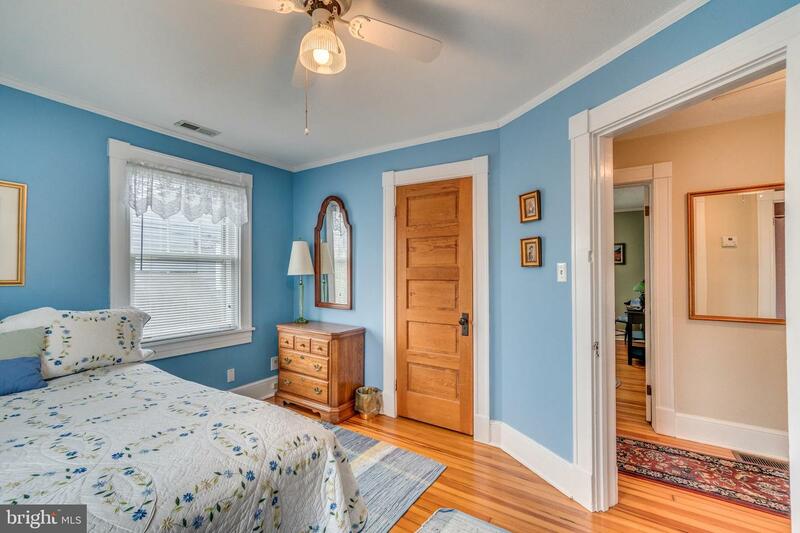 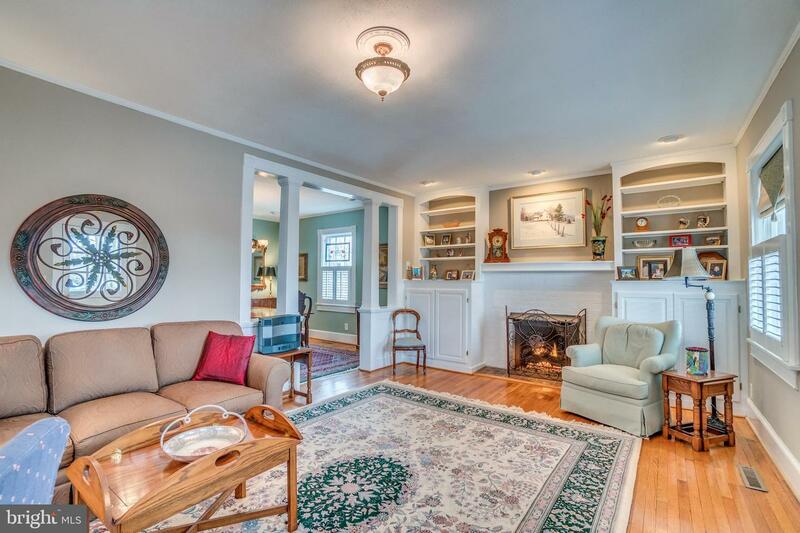 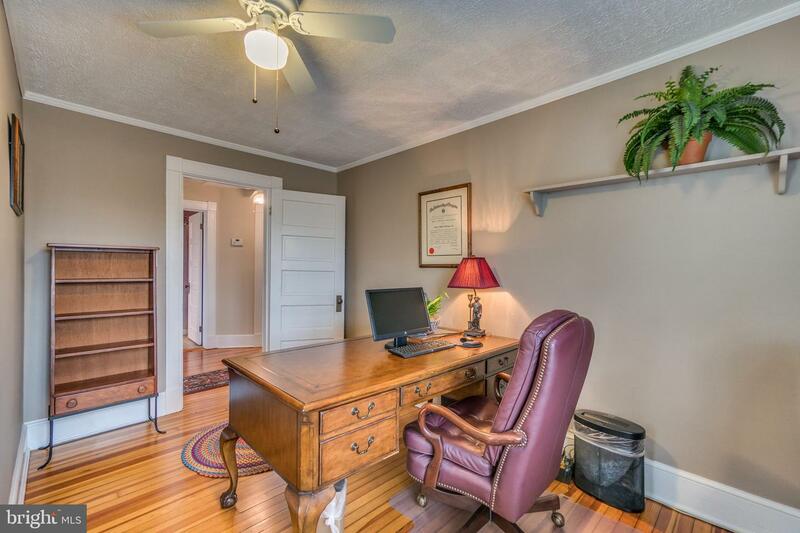 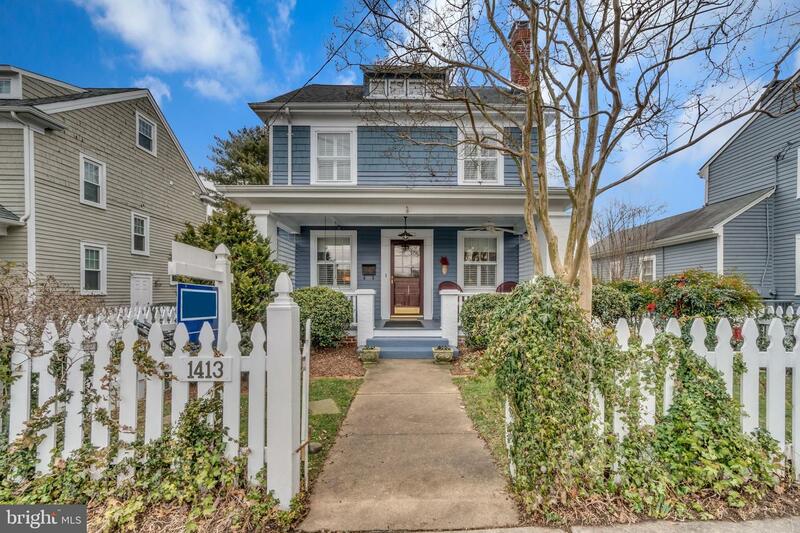 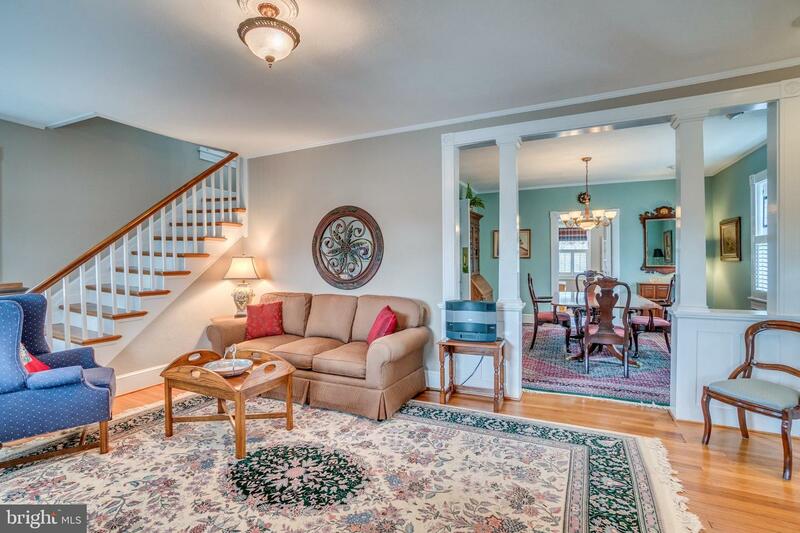 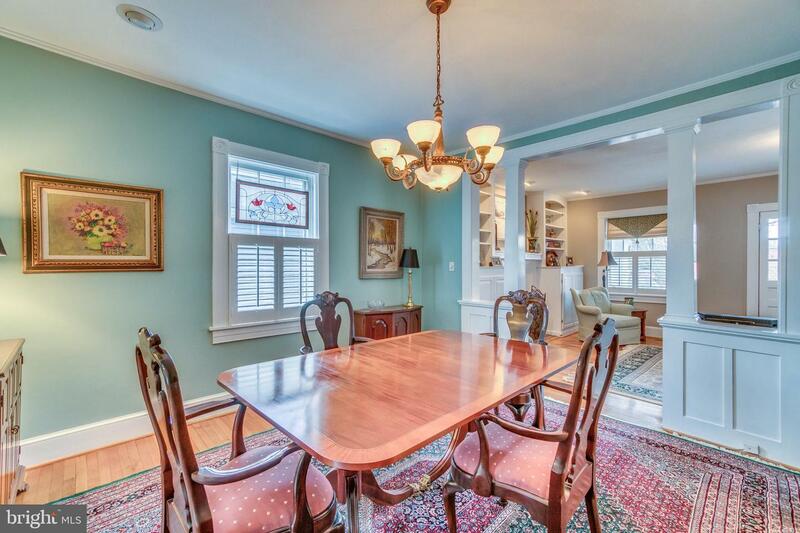 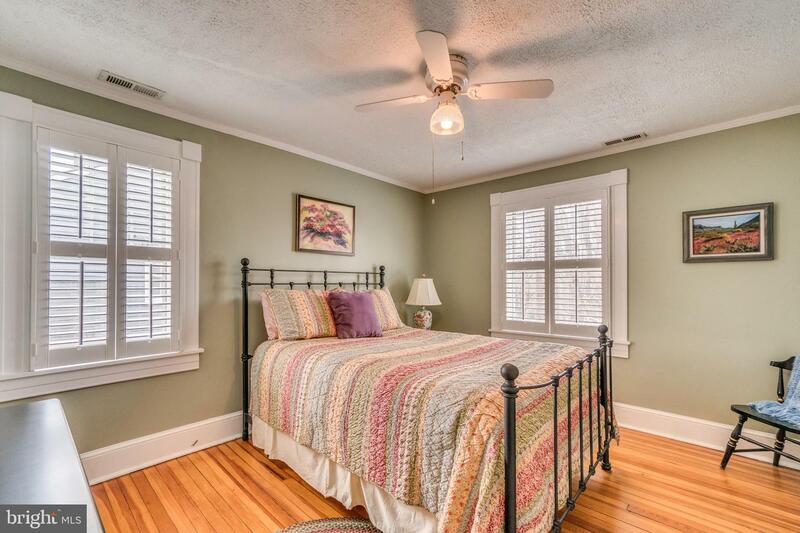 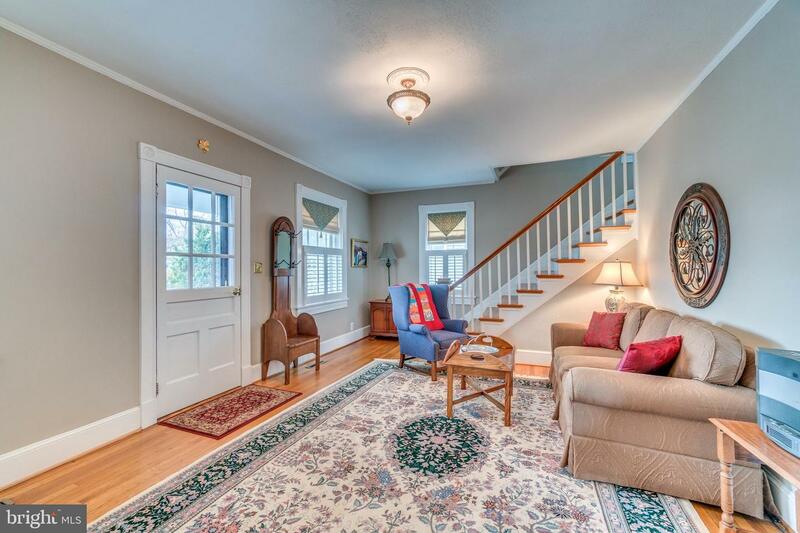 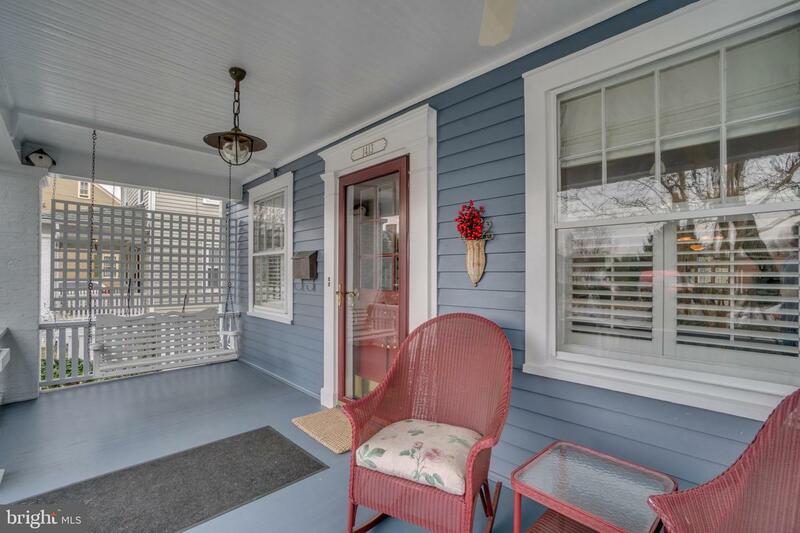 This charming downtown home has been meticulously maintained. 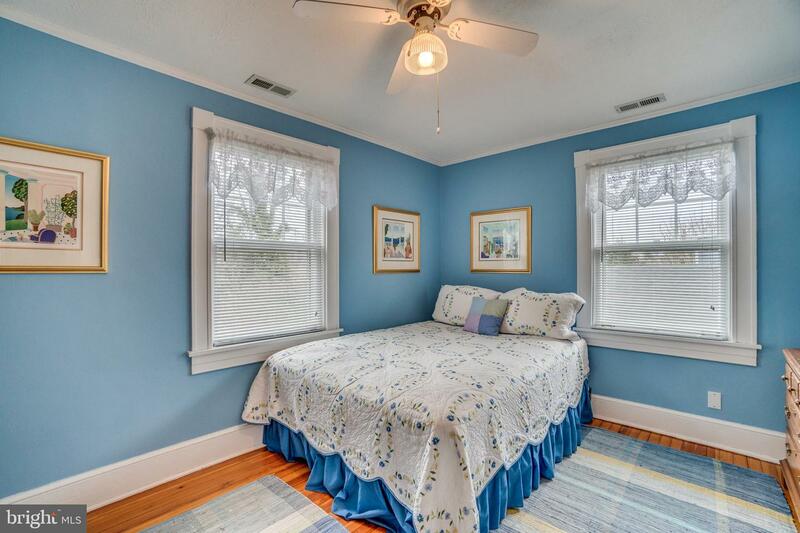 The flexible interior offers 3-4 bedrooms including the option of a first floor bedroom w/adjoining full bathroom. 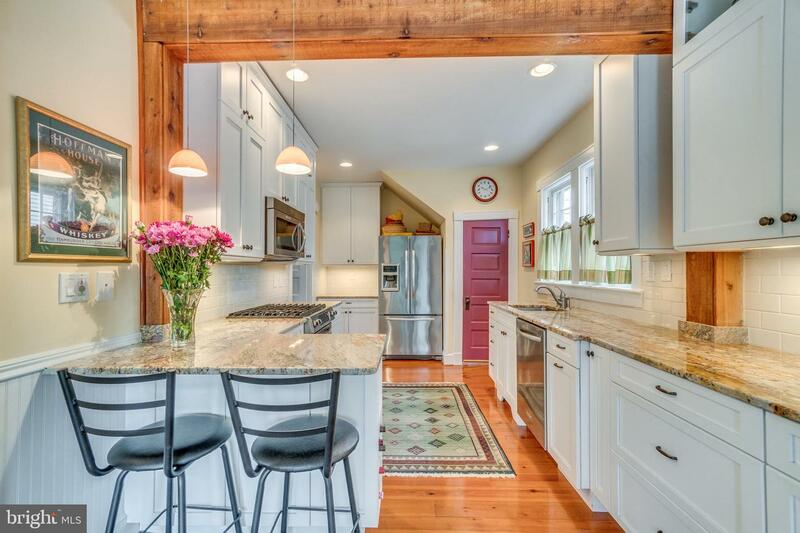 The kitchen was beautifully remodeled to include granite countertops, custom cabinetry, stainless appliances, a breakfast bar and a separate table area that opens onto the rear deck. 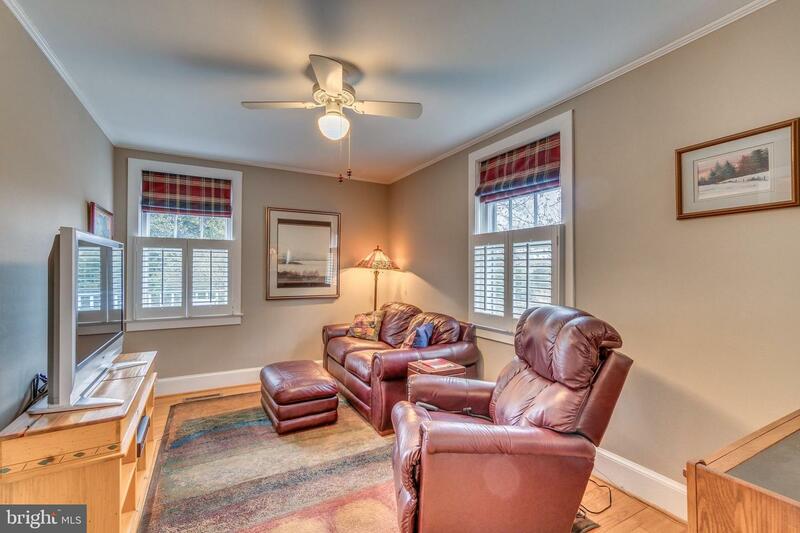 The living room features a gas fireplace flanked by built-ins. 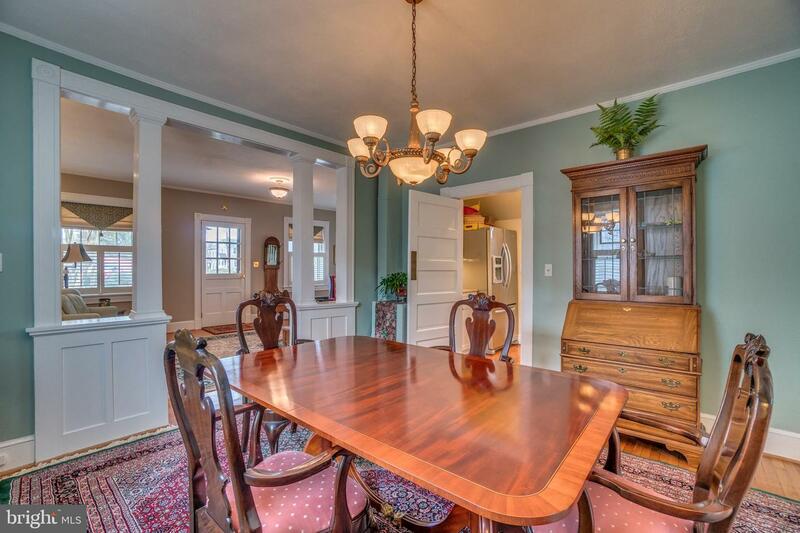 Decorative columns separate the living and dining rooms. 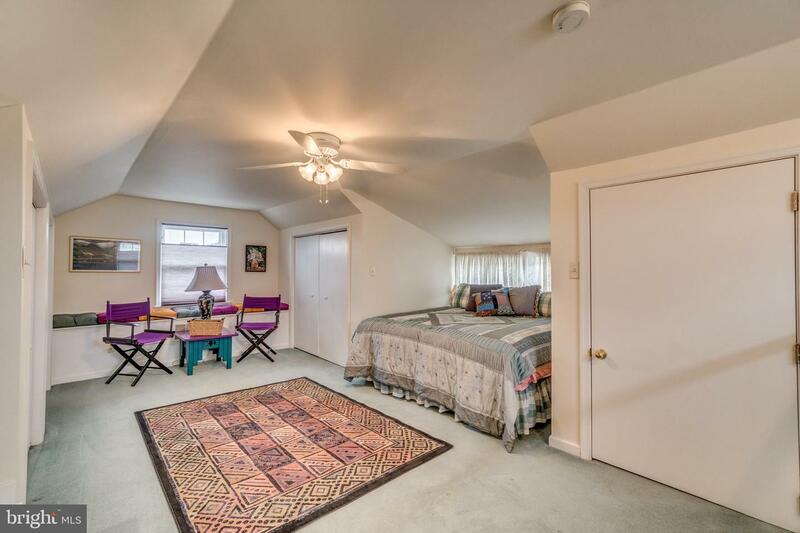 The attic is finished & includes a spacious bedroom w/2 walk-in closets plus another closet. 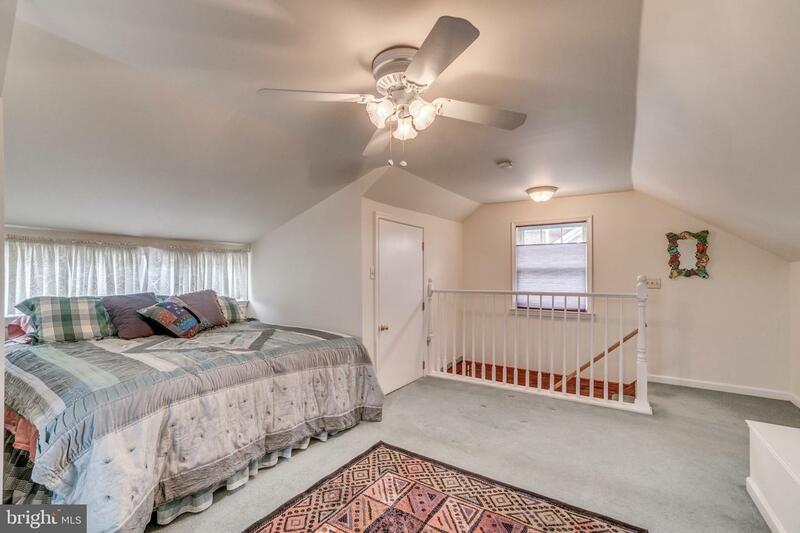 Zoned heating & ac are enjoyed through-out the finished space. 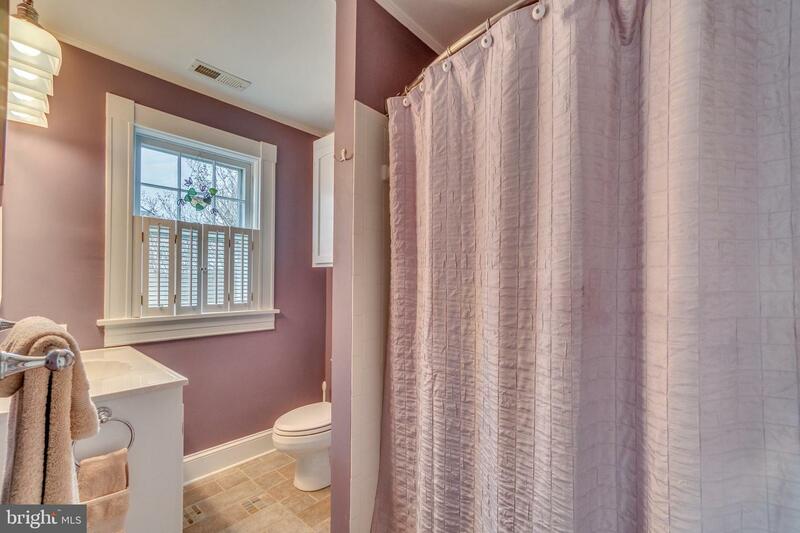 The upstairs bathroom was also beautifully remodeled. 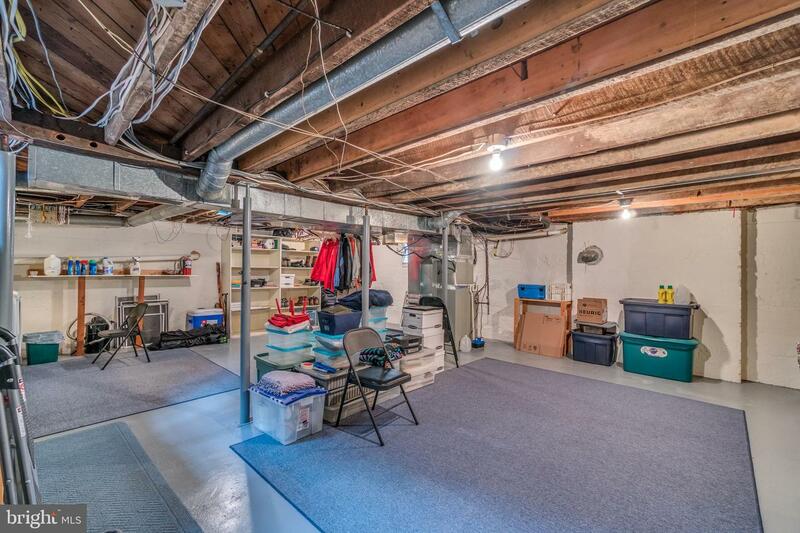 The unfinished basement can be accessed from the side yard and includes good shelving space. 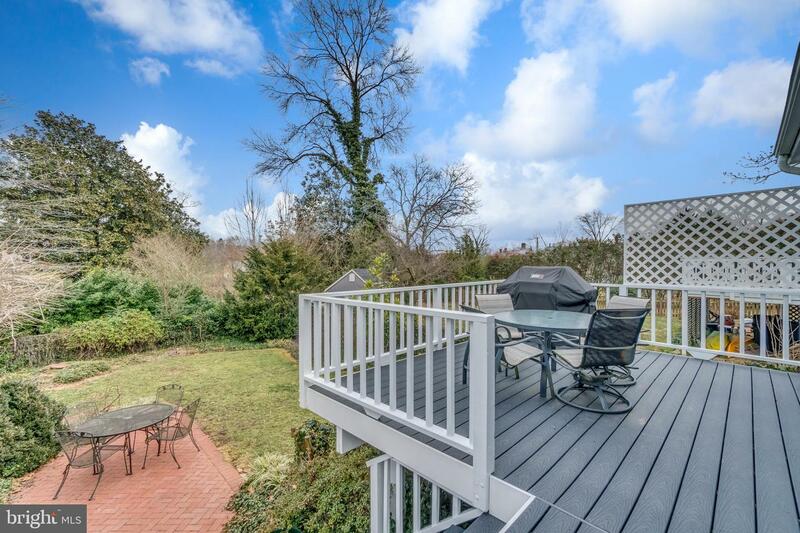 A white picket fence surrounds the front yard and a privacy fence surrounds the rear which has maintenance-free decking, a brick patio and a large storage building w/electricity. 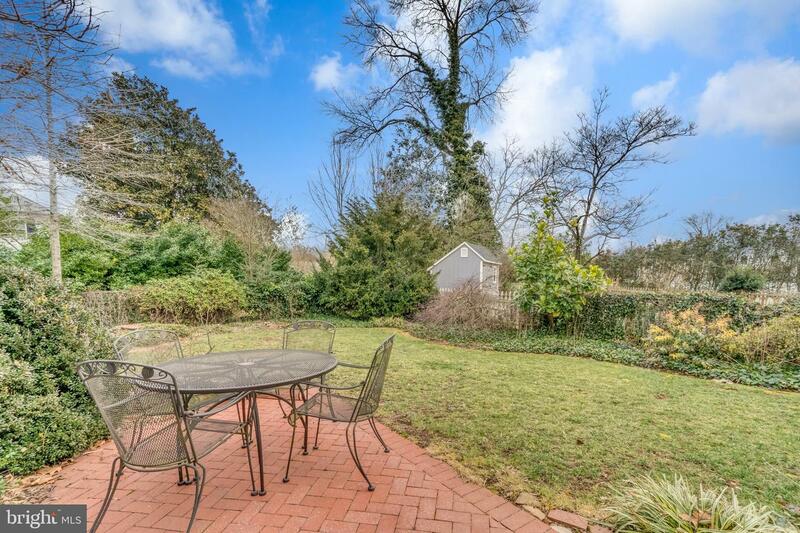 A sprinkler system keeps the mature landscaping in good shape.